Crow Patrol: another 45 out on patrol! 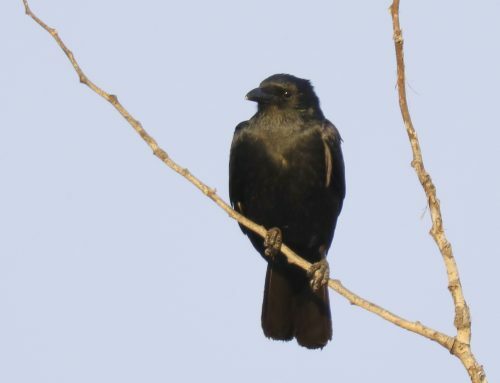 Crow Patrol report for Sunday night, Feb. 10, 2019 submitted by Craig Gibson. Sunset time at 5:09PM under clear skies, with wind out of the west at 8MPH, and temperature at 32F, feeling a bit colder with wind chill at 25F. 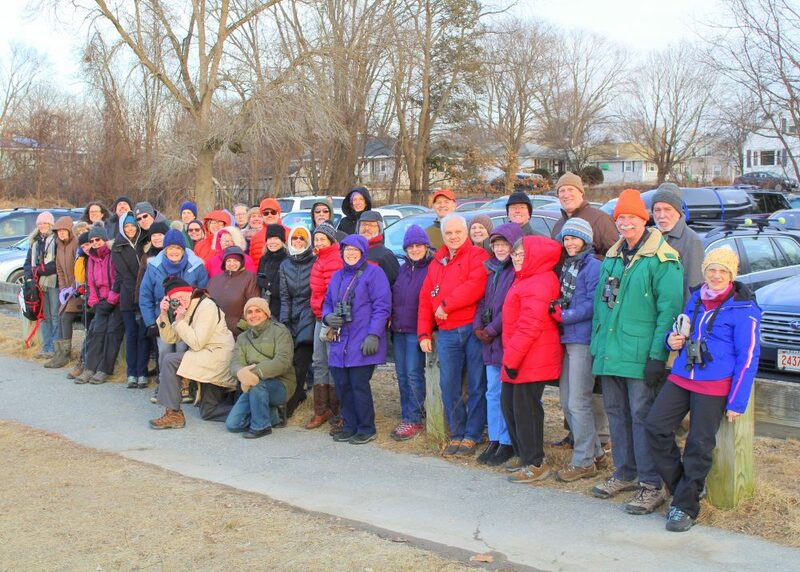 Out on Crow Patrol with 45 mostly new members of the patrol, after a wonderful tour of the Crow Show at Essex Art Center (sponsored by Merrimack River Watershed Council, Merrimack Valley Bird Club, and the Andover Village Improvement Society), an informative talk by Dana and Bob, and then gathering together at the Bashara Boathouse located at the end of Eaton Ave. in Lawrence. 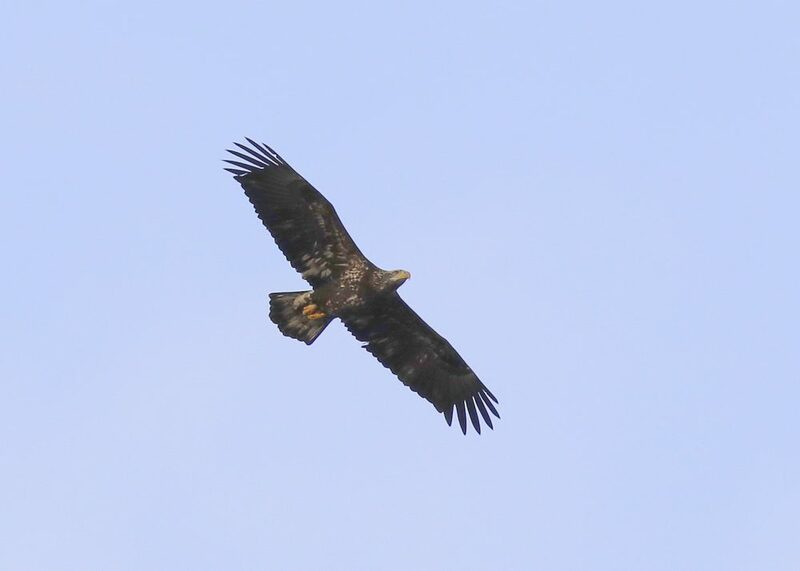 Upon arrival, the group was delighted to observe at least two perched adult Bald Eagles, along with a flight show from two subadult Bald Eagles. We also observed many ducks and gulls. The Crows started streaming in mostly from points WSW, W, and upriver to our WNW, also from multiple compass points to our east. 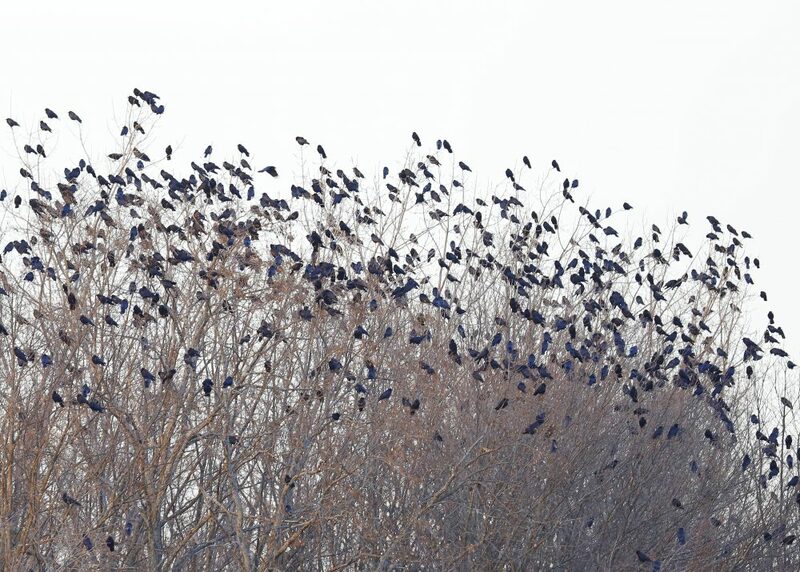 Initially, the Crows were staging in treetops on the north side of the Merrimack River about 1/4 mile away and NNE of our location. Many also settled in along the south side of the Merrimack River in trees to our east in Riverfront Park, and closer to the Great Stone Dam. 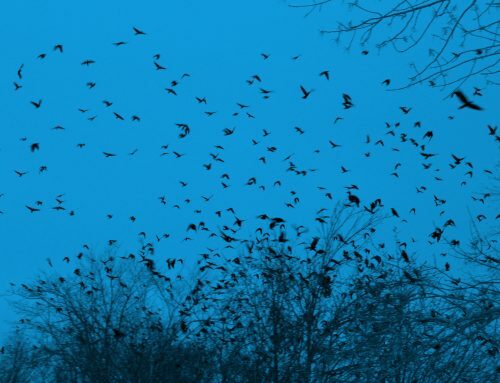 We observed many pulsing movements of Crows, both as they streamed in, as part of the staging process, and as they rose up in large swarms, and then settled back down. 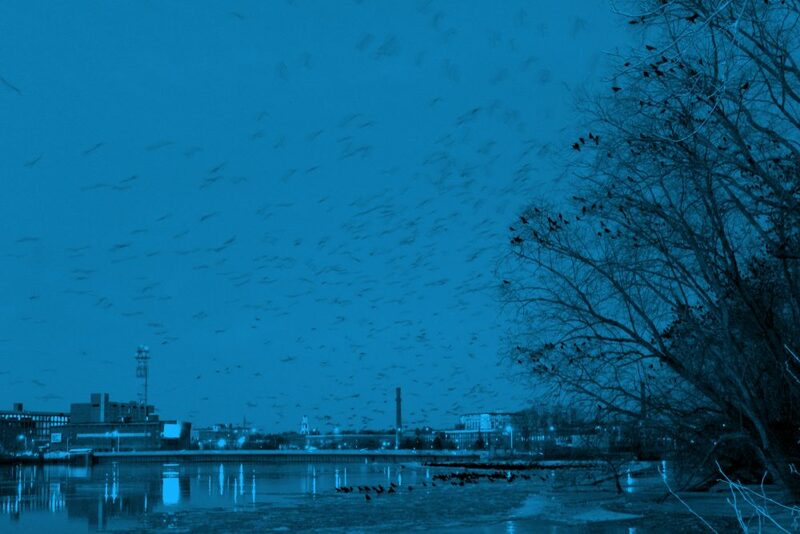 Within 10 minutes after sunset, large numbers began moving into the final roost location on the north side of the river, about 2/10 of a mile downriver, and tightly packed into the trees, right along the edge of the river, just to the west of the Boys and Girls Club. This has been the location of the final roost the last few nights. 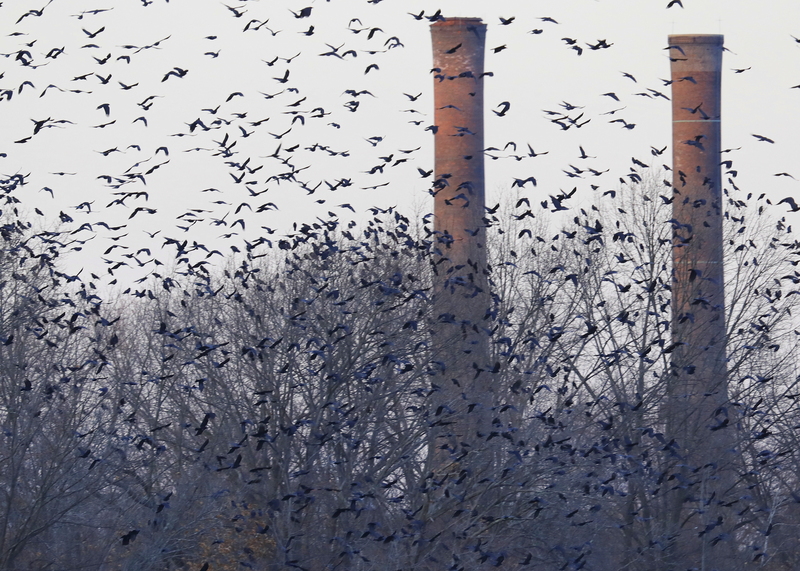 Many Crows also continued to be seen in the diminishing light, in the trees and on the ice much closer to the Dam, on the south side of the river, just east of Riverfront Park. 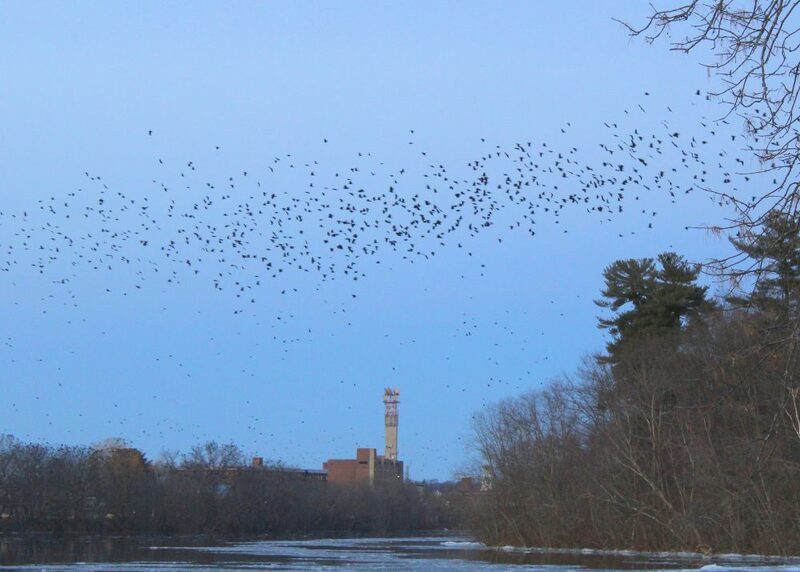 They slowly worked their way over to the north side of the river, and into the final roost. 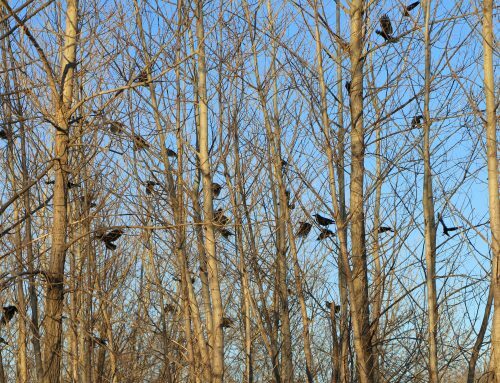 The Crows have been staging and roosting in this general area since Jan. 24th, now over two weeks! 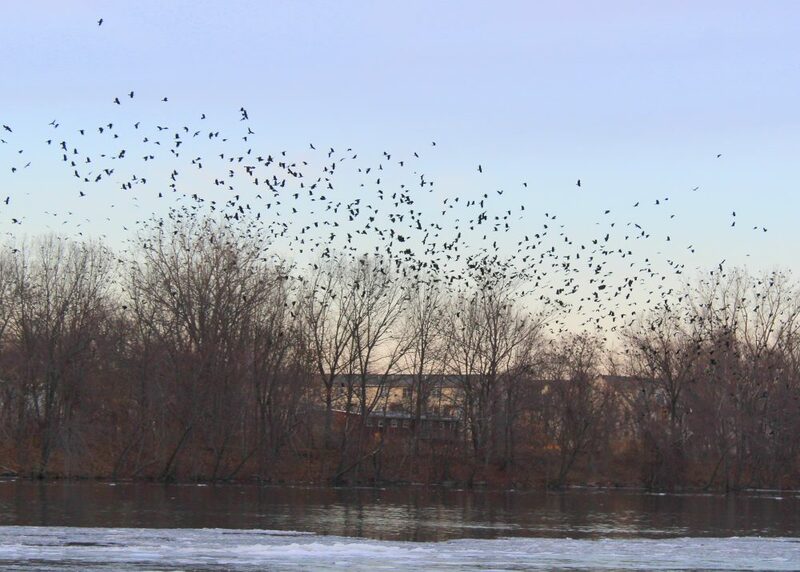 Thank you for inviting us to a spectacular view of the staging crows on the Merrimac River. 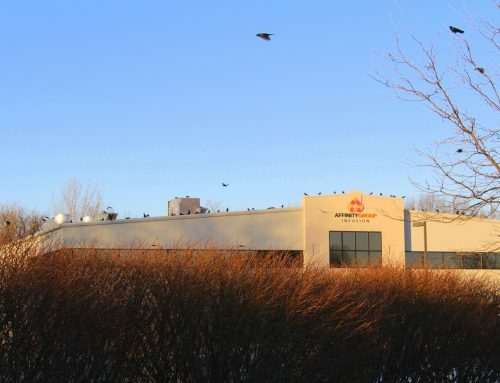 I have been sharing Moe’s photos and videos with family, friends and our bird clubs. I will never forget the experience I witnessed on that Sunday night in February! 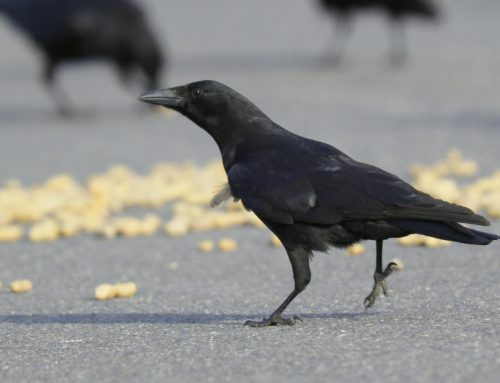 So glad you were able to join us….what a wonderful Crow Show! !